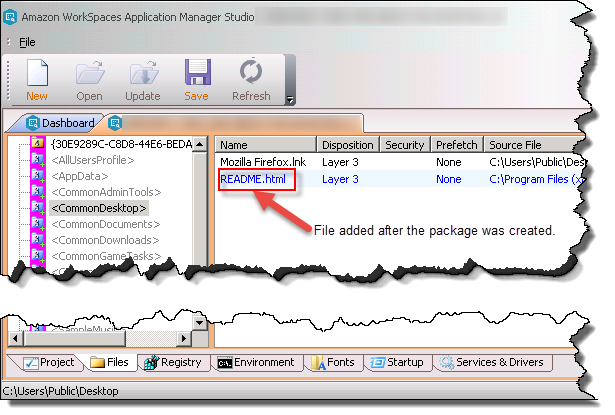 You can change the files and folders in your application package to suit the needs of your users. For example, you may want all of your users to have a folder that contains specific files. Or you may want to reduce the size of your package by removing unneeded folders and files. You can change the folders and files in your package by choosing the Files tab in the project dashboard. Template folders map to the actual system folder paths in the package instance. Template folders are in blue and cannot be removed or added to the package. Root folders map to the same path shown in the navigation pane. These folders are in yellow and were added during package creation or manually. You can add root folders to any part of the folder tree. In the Files tab, open the context (right-click) menu in the left navigation bar and choose Add Root Folder. To add a subfolder, open the context (right-click) menu for a folder in the left navigation bar and choose Add Subfolder. To create a new root folder, choose Create new root folder with the following name and enter a path for it. To create a new root folder from an existing folder in the package instance, choose Create from existing source and then choose Browse to select the folder to add to the package. However, the files and subfolders in the root folder are not added to the package. To add all of the subfolders in the root folder, choose Recursively include subdirectories. To add the files in the folder and subfolders, choose Include files within the folder(s). To use a different name for the folder, choose Override existing folder name with the following name and type the new name for the folder. If the file is not in the package instance, add the file to the instance. 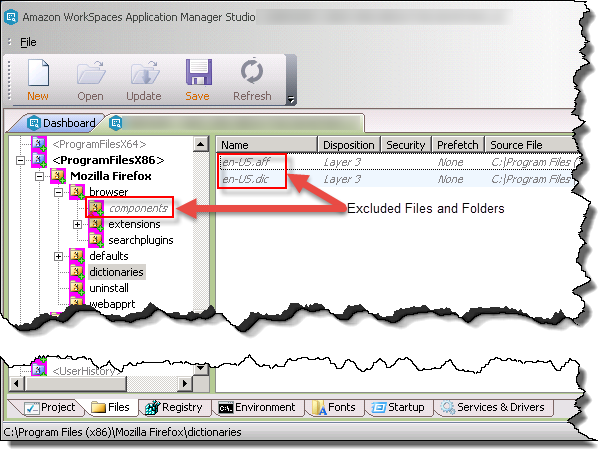 In the Files tab, open the context (right-click) menu for the folder where you want to add the file and choose Add File. In the Add File dialog box, choose Browse and then choose the file to add to the package. To change the name of the file, choose Override source file name with the following name and enter the new name of the file. Folders and files added after the package was created appear in magenta. In the Files tab, open the context (right-click) menu for the root folder or file that you want to rename and choose Rename. Type the new name of the root folder or file and press Enter. In the Files tab, open the context (right-click) menu for the root folder or file that you want to rename and choose Properties. In the dialog box, change the properties of the folder and choose OK. 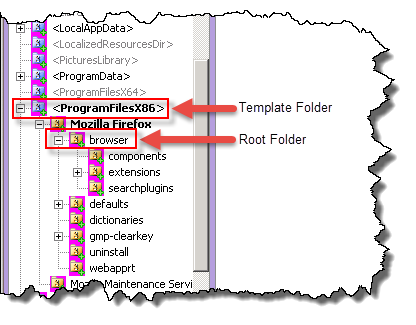 The working folder contains the application executable or some related files. Some applications only work if the working folder is set to a folder that does not contain the application executable file. For these types of applications, you have to set the working folder to another folder. In the Files tab, open the context (right-click) menu for the root folder that you want to be the working folder and choose Set As Working Folder. In the Files tab, open the context (right-click) menu for the folder or file that you want to remove and then choose Delete. 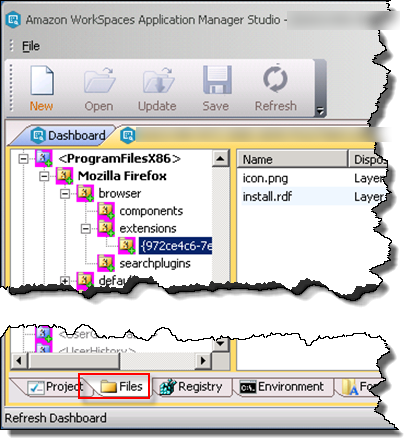 Folders, subfolders, and files that are excluded in the package are not installed in Amazon WorkSpaces, but are still part of the package. This gives you the flexibility of including certain folders and files for one package deployment and not for another. Excluding folders and files also enables you to test an package without a folder or file before permanently deleting it from the project. In the Files tab, open the context (right-click) menu for the root folder or file that you want to exclude from the package and then choose Exclude. Excluded folders and files appear in gray italicized text. 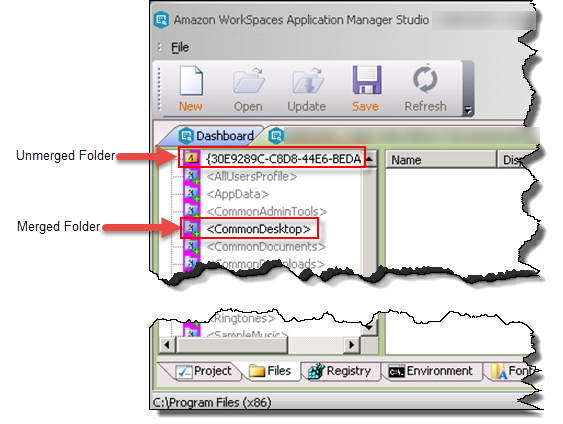 If your package has a root folder that is already on the Amazon WAM client application, both package and client application folders are merged into a single folder. If you are assigning several packages that use the same folder, the contents of each folder are added to a single merged folder. Merged folders have a plus sign (+). In the Files tab, open the context (right-click) menu for the unmerged folder, and then choose Merged Folder. In the Files tab, open the context (right-click) menu for the folder or file that you want to show in Explorer and then choose Show in Explorer.